DOT-COM DRUGSTORES UNLIKELY TO LURE CONSUMERS OR INVESTORS WITH QUESTIONABLE BENEFITS AND SPOTTY SERVICE According to Irving Levin Associates, Inc.
NEW CANAAN, CT – NOVEMBER 8, 2000 – Meager savings of time and money, Internet limitations and poor customer service negate the convenience of shopping online for common drugstore items, revealed an undercover consumer survey conducted by Irving Levin Associates, Inc., a research and publishing firm tracking the health care markets. The survey compares publicly traded “e-tailers” PlanetRx.com (NASDAQ: PLRX), HealthCentral.com (NASDAQ: HCEN) and drugstore.com (NASDAQ: DSCM) with bricks and clicks stores CVS.com (NYSE: CVS) and Walgreens.com (NYSE: WAG) and privately owned more.com (which will soon be purchased by HealthCentral.com) on a standardized list of pharmacy items. For comparison purposes, the same purchases were made at the local CVS store. Results of the survey question the long-term viability of online pharmacies. The recent failure of other e-tailers, such as MotherNature.com and pets.com, indicates growing problems within this sector. The firm purchased the same eight common drugstore items at each site to determine Web site functionality, time spent on ordering and delivery, total cost and whether e-mail confirmation was issued. Customer service was also evaluated when assistance became necessary. All Web sites included in the survey offered similar formats, with customer registration, educational information, a shopping cart, product categories and a site search engine. Using the search engines to find specific items required the shopper to try typing in several variations of a brand or item name; results were often too few or too numerous. Web site errors at Drugemporium.com (which is owned by HealthCentral.com) and Walgreens.com forced the user to stop shopping and try again later before an order could be processed. Calling the toll-free help lines resulted in long waiting time, followed by scant insight into a reason for the error and no solution to the problem. A discrepancy was found between the online invoice and the delivery invoice from Drugemporium.com. Most of the online pharmacies offered house brand savings (Drugemporium.com also offered several coupons), and all charged $3.50 – $4.45 for delivery in up to 5 business days. Comparatively, at the local bricks-and-mortar drugstore, consumers can purchase and walk out with the same name-brand items for only about 5% to 10% more in cost. Irving Levin Associates, Inc. is a New Canaan, CT-based research and publishing firm specializing in the health care markets. Complete results of the survey along with current investment trends and information on the e-health sector can be found in the November issue of The e-Health Investor (www.e-healthinvestor.com). 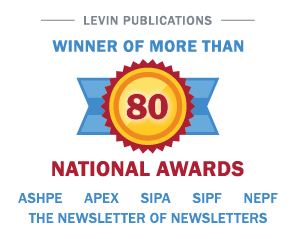 To subscribe call 1-800-248-1668, or visit www.levinassociates.com.